How to count pages in PDF document quickly? Sometimes there is a need to know how many pages PDF files contain. Opening each PDF file and checking the number of pages is a long-lasting routine. 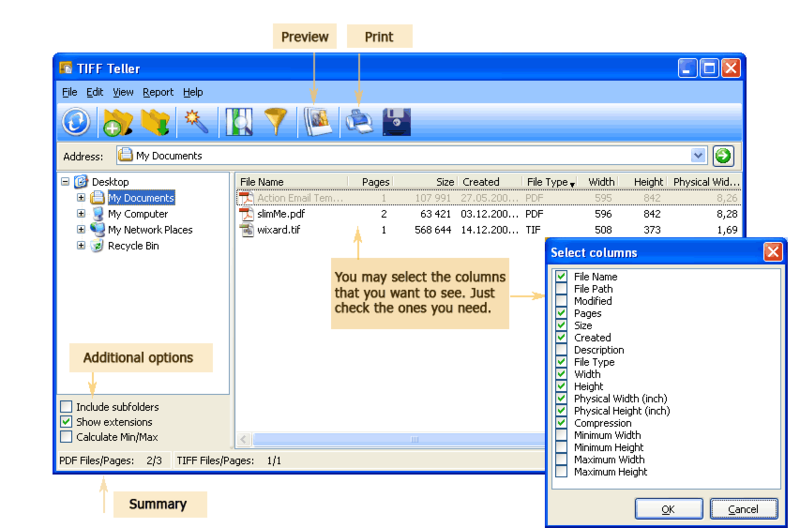 Tiff Teller will count number of pages in PDF files automatically and show it to you in a handy report. Select this folder in the left-side navigation menu. 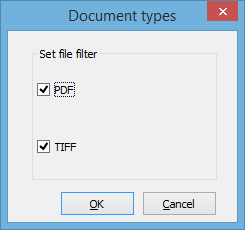 Press the "Set Filter" icon and make sure only PDF is checked. Press "OK". In the "Fields" tab select "File name" and "PageCount"
As a result you will see your generated report opened automatically. Using TiffTeller, you can also find out the size, description, author and any other meta data about PDF files. There is no need to open the files and digging into properties, to see the size of first page, all paper formats used in the documents, compression and other parameters. All this is viewable in Tiff Teller report. It can be simply viewed inside the program or exported to a suitable format. 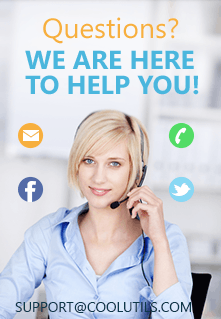 Tiff Teller is free to try, you can test what it does right now!